Allan Shine said, “ We received 2733 votes which was excellent, especially as this is the first year of this award category. The winning project received 27% of the public vote. They will now be invited as our guests to the Kildare Business Awards on the 17th November in The K Club where they will receive a cash prize of €3,000. The community project award is a new initiative this year for the Chamber and the award is kindly sponsored by both Kildare County Council and The Queally Group. Shine continued by saying, “ We received 24 applications this year and this shows the level of community projects that are actively underway in the county. The Chamber congratulate Bill Clear, the team in Naas Tidy Towns and the community project Naas Wild Food Festival. Naas Tidy Towns are launching their Naas Greenway Project on the Grand Canal at Tandy’s bridge at 3 pm on Saturday 13th June 2015. The road between Tandy’s bridge and Osberstown bridge will be closed between 12 pm and 6 pm on this day. (local access only) (wheelchair parking available) This will give people an opportunity to walk, cycle, run, roller blade….. on a road free of vehicular traffic. Meeting points: Library 2.45 pm. Tandy’s bridge 3.00 pm. All are welcome to walk back to Alice’s restaurant for Tea/ Coffee/ Cake for 4.00 pm. As part of bikeweek 2015, Kildare County Council wishes to encourage people to cycle into Naas Town Centre rather than to drive. With funding from the Department of Transport, Tourism and Sport, Kildare County Council is offering a free €5.00 luncheon voucher on Wednesday 17th June to people who cycle to participating cafe’s in Naas. With a massive influx of people expected for Punchestown Festival next week, we thought it would be a great idea to highlight the various different parking spaces around the town. IT is busiest five days of the year for all in Naas and the surrounding regions. Five packed days of racing at Punchestown means businesses in the town and nearby villages are kept very much in demand before and during the Festival. A new Naas Town Committee was formed in recent weeks under the umbrella of the North Kildare Chamber of Commerce. The new committee has been hard at work over the past few weeks co-ordinating many activities around the upcoming Punchestown Festival. This year there will be buskers on the streets, a farmers market showcasing artisan foods, the town will be awash with Flags, buntings & banners and in excess of 30 businesses are taking part in the “Paint the Town Red competition” with a prize fund of €1,000. Robert Mehigan, Chair of the Town Committee said, “ Naas is united, we have a newly formed voluntary committee representing 15 businesses from all sectors within Naas. We are looking forward to the Punchestown festival and our aim over the next 3 months is to map out our key initiatives for the Town of Naas that will assist both the business and the visitor experience in the town. Punchestown is the highlight of the year for many businesses with local hotels, restaurants, pubs and shops all benefitting from the festival. A new exciting bursary fund has been launched this week. 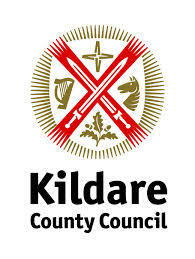 Kildare County Council and North Kildare Chamber have joined forces with a bursary fund of €1500 which will act as a catalyst for an artist to develop their business ideal or a for a fledging arts business to expand. With the fund of €1500, the winning applicant will also receive complimentary membership of the Chamber for 12 months and can also avail of a free desk in the Chamber I Hub. The Chamber I Hub is for start-up businesses where a business can avail of office, boardroom and training facilities and can also avail of the Chamber ‘s panel of mentors. Allan Shine, Chief Executive of the Chamber said “ I am delighted to partner with the council with this Artistic Entrepreneur Fund, the winning applicant can avail of the services we provide start-up businesses already in place in the Chamber I Hub and can also avail of complementary membership of the Chamber for 12 months. We provide 140 events per year for our members so the benefits are enormous for the successful person or business. 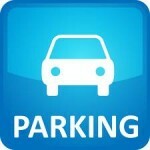 North Kildare Chamber have secured a discounted annual price for there members with Naas Town Centre Car Park. Members can now enjoy 25% off Naas Town Centre’s Annual Price of €690. Our annual price is now €550. To avail of this offer, simply contact Allan in the Chamber office. This results in huge savings for businesses and staff in the town. We are currently working on a range of discounted offers for members of the Chamber.